Head out to your favorite camping spot and make this your home base for awhile. 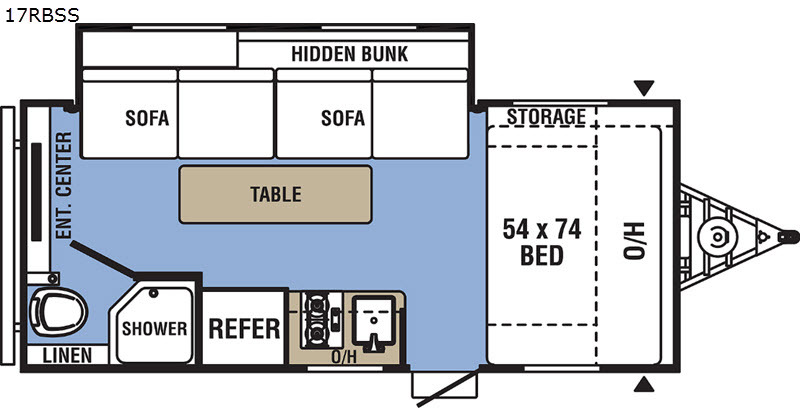 There is ample sleeping for you and a few friends with a 54" x 74" full bed up front, plus on the furniture and the hidden bunk. You can dine and relax inside while enjoying the entertainment center or outside under the power awning. You will also find ample storage space with overhead cabinets throughout, linen storage in the private toilet and shower room, and a front pass-through compartment so you can easily tuck away your fold up lawn chairs, yard games, and kids rafts for the beach, plus dad's fishing pole and more! With any Clipper Ultra-Lite you can enjoy a smooth tow with a Norco NXG chassis, a single Dexter E-Z Lube axle and an aerodynamic front profile. Inside you will find residential grade linoleum and laminated countertops for easy clean up after a long weekend of fun. You can enjoy the Jensen AM/FM Bluetooth stereo with App control and an interior command center as well. 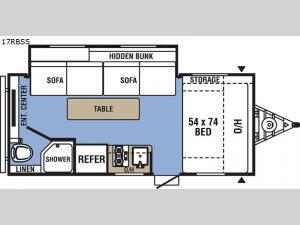 Come see why this travel trailer makes it convenient to take off and go at any time with your own family vehicle. adventuremotorhomes.net is not responsible for any misprints, typos, or errors found in our website pages. Any price listed excludes sales tax, registration tags, and delivery fees. Manufacturer pictures, specifications, and features may be used in place of actual units on our lot. Please contact us @864-848-0098 for availability as our inventory changes rapidly. All calculated payments are an estimate only and do not constitute a commitment that financing or a specific interest rate or term is available.